Promotional items and marketing literature created with the use of die cuts will empower you to acquire the much needed differentiation to score over your competitors. For those unacquainted with the die cuts, it denotes the process of using metal pieces of various shapes for pressing into paper. The metal moldings then cut the paper into required shapes. The paper shaped in such a manner can be a simple oval or rounded business card or something more complex like a custom logo outline. 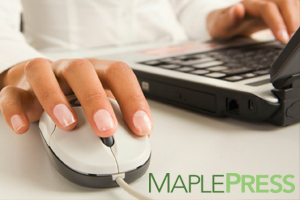 Whatever your need, Maple Press is here to serve you!